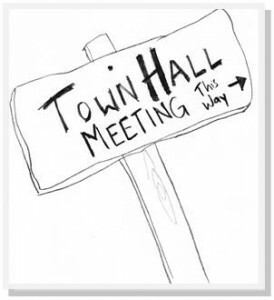 PALMDALE – Alcohol outlet saturation in zip code 93550 and the link to violent crime will be discussed at a Town Hall meeting this week intended for the general public and policy makers. The Town Hall will take place at 6 p.m., Wednesday, November 20, at the Chimbole Cultural Center, located at 38350 Sierra Highway in Palmdale. Captain Don Ford of the Palmdale Sheriff’s Station; Bradley Beach, Supervising Agent in charge of the Alcohol Beverage Control (ABC) Division which oversees the Antelope Valley; Ricardo Contreras of the Los Angeles County Public Health Department; and a representative of the Palmdale School District have been invited to present at the forum. This is the second Town Hall meeting organized during the past year by Pueblo y Salud (PyS), a social human service agency, and the Palmdale Prevention Community Council (PCC) which advocates for policy solutions to address alcohol related problems. “We have too many liquor stores in certain sectors of our communities and they are directly linked to violent crime rates 5 to 6 times higher than the City norm,” stated Xavier Flores, Project Director for Pueblo y Salud. “We wish to inform policy makers, those who have been elected to City Council or appointed to the Planning Commission, about policies that have proven effective in reducing the negative impact of alcohol proliferation in our communities,” Flores added. Pueblo y Salud and the PCC are proposing a social host ordinance to reduce access of alcohol to minors at parties, a moratorium on new alcohol outlets, a ban on the sale of single-serve containers and training for alcohol vendors on ways to sell more responsibly. They are also advocating for a fee to be attached to the alcohol retailer license to pay for compliance checks by the Sheriff’s Department. For more information on this effort, call 661-208-4450. 1 comment for "Town Hall to discuss alcohol-related problems, solutions"
And what do you want to bet that more will just keep springing up? Meanwhile a senseless moratorium is levied against any medical marijuana dispensaries being placed in town to keep the issues above from springing up. Well, the truth is the dispensaries don’t bring additional crime and violence. Personal responsibility goes a lot further than any moratorium ever will. And the minors are getting the alcohol to the party one way or another. You don’t want to let them get some patsy to buy it for them, don’t be surprised when theft of alcohol starts increasing.